Students rarely abuse the system since everything they do is linked to their real name, but occasionally it may be necessary to block their ability to communicate in School Loop. 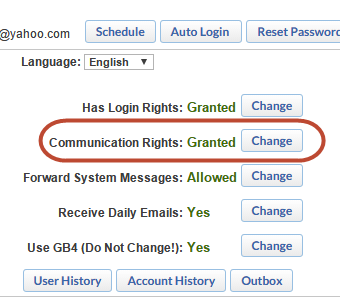 Click the Change button next to Communication Rights. What is blocked when revoking communication rights? What is allowed when revoking communication rights?